This is a private tour, We will assign private guide and van in each city and no other participants will be allowed to join in your group. Our guide will pick up you from your hotel on departure time and transfer back you to the hotel after you finish this tour. Pick you up from your hotel on departure time and then drive to Ming Tombs, the best preserved Chinese imperial tombs with 500 years history, and visiting Dingling---the underground mausoleum of Emperor Wan Li. Before entrancing Dingling, we will have a visit of Sacred Way which means the road leading to heaven. 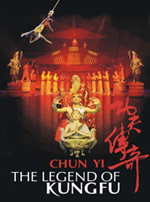 The Emperor, known as the Son of the Heaven, who came from Heaven to his country through the Sacred Way, also deservedly would return to Heaven through this road. 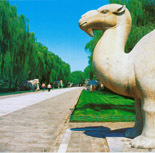 The road is often lined with stone statues which are important decorations of the mausoleum. Before having lunch travelers have 45 minutes to have a short visit of Jade Carving Factory. The jade carving is very famous special local product, it was not only the excellent skill on carving, but also mixes many Chinese traditional cultures in the jade carving. Having Chinese lunch at restaurant. Driving you back to your hotel. Note: Please use our online Reservation or send your travel request via email to Ebiz@dditours.com or Chinatourstailor@hotmail.com. You are also welcome to call us at (86)591 87766942. If you have a last minute booking or an urgent matter after our normal office hour, please call Linda Lai (86)13509397523 or Vicki Lin (86)13774519680 (24 hours). 1. Our tour guide will contact with you in the late afternoon or evening one day before the tour to confirm pick-up time. 2. Our tour guide will call travelers' room upon arrive their hotel.